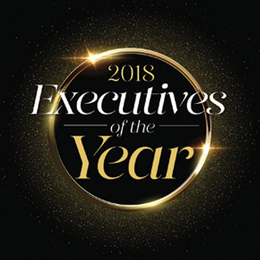 Passionate, motivating and extremely hard-working—those are just a few qualities our 2018 Executives of the Year possess. Each has led by example, but not before climbing up the corporate ladder to get where they are today. They have extensive backgrounds in their respective fields and not only created a vision, they executed it, which helped shape their careers and achieve success. 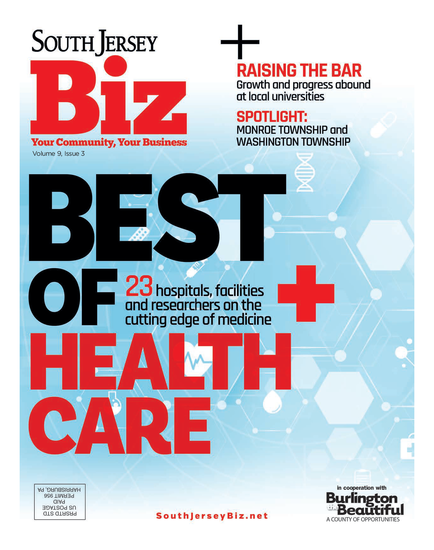 In addition to being an integral part in the businesses they own and work for, they are heavily involved in the local communities, leaving their footprints all over South Jersey. We know you’ll be impressed, and maybe even inspired. The president and CEO of Coordinated Project Solutions, LLC, St. Maur started the company in 2008 to bring expert services to those who are not in the development, design and construction industry. With more than 35 years of experience, St. Maur thrives on challenges and difficult projects and believes in cultivating and maintaining great relationships. He is a veteran of the U.S. Navy Reserve and has served for 20 years on the ambassador committee of the South Jersey Chamber of Commerce and is a member of the Gloucester County Chamber of Commerce. Oberer is the district office manager for GZA GeoEnvironmental’s three metro Philadelphia offices and associate principal at GZA with over 25 years of experience in environmental investigation and remediation. He is a founding member of the New Jersey Licensed Site Remediation Professionals Association (LSRPA) and has held every executive office on its board of trustees. Oberer has also served on several New Jersey Department of Environmental Protection committees developing guidance for implementation of the LSRP program. Rock is president and managing partner with Solvix Solutions, LLC, a company that helps the federal government and commercial clients fill their technology services, hardware and software needs. Before starting her own business, Rock spent 10-plus years providing administrative support to high-level executives at Fortune 500 companies. After a successful career helping the top decision-makers in corporate America, she now helps them save money on products and services. By working closely with their clients and understanding their needs, Rock and her team at Solvix have been able to increase their value to support their ever-changing needs. Educate, inspire, empower—those are three words that describe what Pallozzi has accomplished for hundreds of clients, scores of employees and many community members during his 30 years in the financial services industry. As president of HFM Investment Advisors, Pallozzi’s independent RIA firm, he specializes in financial planning and investment management for families and businesses in the Greater Philadelphia region and provides employers with valuable investment advice for 401(k) retirement plans. Additionally, Pallozzi is chair of the Gloucester County Chamber of Commerce, treasurer of the Rowan College Foundation and trustee for the Washington Township Education Fund. As vice president for enrollment management at Thomas Edison State University, Devery is responsible for the university’s marketing, recruiting, corporate partnership, admissions and military and veteran education programs. He also serves as the chairman of the board of the Burlington County Regional Chamber of Commerce, bringing together business, government and higher education to improve South Jersey’s economy. In 2018, Devery also served as an American Council on Education Fellow at Stockton University. Prior to his career in higher education, he had a successful 30-year military career serving in Afghanistan, Albania and locations throughout New Jersey. After leading student success initiatives as a vice president and acting president, Cioce became the sixth president of Rowan College at Burlington County (RCBC) in September. Since his appointment as vice president of enrollment management and student success in 2015, RCBC has achieved several noteworthy accomplishments, including enrollment increases, a new 3+1 program with Rowan University that provides one of the nation’s most affordable bachelor’s degree and increased opportunity for high school students to earn college credit. As a first-generation student, Cioce is committed to making college affordable and accessible to all students. Monahan is a proven leader with more than 30 years of experience and is currently overseeing relationship and portfolio managers in South Jersey and Philadelphia for M&T Bank. As administrative vice president, her responsibilities include coordinating existing and new client acquisition, strategic initiatives, sponsorships and talent development throughout M&T’s commercial bank segment. She is actively engaged in the community and serves as a board member of The Philly Pops, Southern New Jersey Chamber of Commerce, The Ronald McDonald House of Southern New Jersey, Catholic Partnership Schools and a member of the St. Joseph’s University Real Estate Advisory Board and current associate trustee. For more than three decades, Stagliano has ledCenter for Family Services in remaining true to its mission and responsive to community needs. Under his leadership as president and CEO, Center for Family Services has expanded to provide more than 75 unique programs that offer a range of care to support and empower individuals, families and communities to achieve a better life. Stagliano leads Center for Family Services with quiet strength and believes each staff person is an important contributor tothe organization’s mission. In 2016, Stagliano was awarded with the outstanding service award from the National Association of Social Workers—New Jersey Chapter for outstanding service to the local community. Desimone serves as a principal and project manager at DeSimone Construction, a commercial construction company and custom residential home builder. He marries his passion for construction with his technological savvy to provide clients just what they need—a quality commercial or residential project delivered with unparalleled service. He moves his organization forward by making process upgrades and adopting technological improvements that ensure safe, compliant, streamlined and value-driven outcomes. Reilly is president and CEO of Moorestown Ecumenical Neighborhood Development Inc. (MEND), a nonprofit organization that develops, owns and manages affordable housing for low- and moderate-income individuals and families in Burlington County. He joined MEND in November 2001 and is directly responsible for all of MEND’s new project development efforts. Reilly began his affordable housing career in 1975 with the New Community Corporation of Newark. He previously served as executive board member and treasurer of the Housing & Community Development Network of New Jersey and was a member of the Governor’s Interagency Council on Homelessness. He is currently a member of the Burlington County Homeless Continuum of Care governing board. Mitchell-Williams is the associate dean for diversity and community affairs and associate professor of obstetrics and gynecology at Cooper Medical School of Rowan University (CMSRU). She leads CMSRU’s efforts to improve the health outreach for disadvantaged communities, including the creation of a pipeline to medical professions and community service programs. She also develops programs that enhance cultural sensitivity at the school. Mitchell-Williams earned her Ph.D. in biomedical engineering from Rutgers University and her M.D. from Rutgers-Robert Wood Johnson Medical School. She joined CMSRU in 2010, but has served the Camden community as an educator and practicing physician for more than 20 years. Banmiller has an extensive banking background, with an employment history that includes Girard Bank, Midlantic Bank and Florida National Bank. In 1987 he opened a newly chartered bank, Community National Bank. After it was sold to Hudson in 1999, he opened another new bank called 1st Colonial National Bank—now 1st Colonial Community Bank—of which he is currently president and CEO. Banmiller was appointed by the New Jersey Supreme Court to serve as a trustee of funds held by the state of New Jersey for the IOLTA program and recently served as a member of the board of directors of the New Jersey Bankers Association. Sweeney is the founder and CEO of NEMR Total HR. Her introduction to human resources began in 1967 and she devoted the majority of the subsequent 23 years to management positions within the two largest international staffing companies. In 1989, Sweeney became co-owner of the oldest independently owned staffing company in South Jersey, National Worksite Staffing, with Ethel Harris, and in 1996 she became the sole owner. Looking to expand valuable services to her clients, Sweeney founded her current thriving human resources outsourcing company, NEMR Total HR. She is an active board member with the Camden County Chamber of Commerce as well as a council member of Bancroft. Elwell started with Business Accounting Systems in 1980 and manages the accounting, payroll and tax departments. As vice president, he is responsible for the daily operations, recruitment, marketing and all new client sales and acquisitions. He is a Quick-Books certified pro advisor and specializes in small business consulting, software implementation and all areas of business and personal taxation. Utilizing the firm’s all-inclusive fixed fee service for accounting, consulting, payroll and tax service, Elwell continues to grow the firm’s client base while still applying his hands-on approach to helping the small business person succeed. Rehm, executive vice president and chieflending officer with Capital Bank, was one of the company’s original employees. He is a graduate of the ABA Commercial Lending School and the ABA Stonier Graduate School of Banking at the University of Pennsylvania, earning his Wharton leadership certificate while at Stonier. Rehm is active in the community, serving as a board member of the Southern NewJersey Chapter of RMA (Risk Management Association) and the Rowan University/Rohrer College of Business Executive Advisory Council. He is a member of the American Bankers Association Community, Economic Development Committee and the NJ Bankers Commercial Lending Committee. Jingoli has more than three decades of expertise in construction, project and energy management, and is chief executive officer of JINGOLI, a nationally ranked contractor and construction manager with experience in the power, industrial, health care, gaming and educational sectors. He is also the chief business development officer for DCO Energy, one of the largest generators of cogeneration and renewable energy projects in the U.S. Notably, Jingoli was one of three partners to purchase and renovate the former Trump Taj Mahal, which recently opened as the new Hard Rock Hotel & Casino Atlantic City. He is passionate about giving back to the communities in which the JINGOLI companies do work. As part of the Competitive Edge community outreach program, the JIN-GOLI companies are focused on mentoring youth, supportingsmall, minority- and women-owned businesses, and hiring local workers within the communities of their major projects. Bianco has served as the directorof economic development for Gloucester County since 2014, where he oversees the department and helps foster public/private partnerships to create an environment of sustainable growth through retaining, expanding and attracting quality businesses to the county. The department also works to develop an educated/trained workforce, retain and enhance tourism opportunities while providing a suitable living environment and expanding economic opportunities for all its citizens. Bianco also currently serves as mayor in the borough of Clayton and serves on the Gloucester County United Way Board and chairs the Gloucester County Disabilities Advisory Council. As CEO of ACCU Staffing Services,Damm leads an award-winning, family- owned and -operated company headquartered in Cherry Hill. With a strong background in branch management and sales, she is responsible for cultivating business strategies but credits her family’s and employees’ effective daily collaboration for ACCU’s continual growth and annual increase in sales. An active member of the local business community, Damm is the foundation board chair for Our Lady of Lourdes Health System and an advisory board member for 1st Colonial Community Bank. Mach founded Apex IT Group atthe age of 25 and has led the company for more than a decade to become one of the Philadelphia region’s most recognized IT services providers for businesses. Machhas become a nationally recognized IT executive and cyber security expert with extensive expertise in helping small, mid-market and enterprise companies accomplish business and technology objectives. He also helps other IT solution providers improve their business performance. Mach’s vision is to expand Apex IT Group beyond the Delaware Valley over the next seven years and implement an employee ownership plan to better serve employees and clients who join Apex. Weitz started New Road Construction Management to provide quality construction management services to private owners and developers, as well as to public entities. He is a registered architect, a licensed professional planner and a recognized expert in project management. Weitz has been involved with over 200 major projects in New Jersey during his almost 40 years at the helm of NEW ROAD. He is an expert in constructing K-12 school projects and takes pride in having an impressive following of both satisfied clientele and talented, loyal employees. Huggard is president and CEO ofSouth Jersey Federal Credit Union. He is a certified public accountant and chartered global management accountant with 35 years of experience. Previously he served as senior vice president and chief financial officer of First Atlantic Federal Credit Union. Additionally, Huggard retired as a lieutenant colonel from the New Jersey Army National Guard after 28 years of service. He previously served on the board of education of Galloway Township and also served on the board of directors for CODI, a nonprofit in Atlantic County. Tretola is chief public affairsofficer at Allies Inc., one of New Jersey’s largest accredited nonprofit agencies dedicated to providing housing, health care, meaningful employment and recreational opportunities to people with special needs in the communities of their choice. He carries an extensive and diverse background in management, social services and public affairs, serving as a liaison for state, municipal, governmental, educational, religious, business, law enforcement, social services community and civic leaders. Having served in the military, Tretola was the recipient of many awards, including the ESGR Lifetime Achievement Award, and also serves on numerous community-based organizations including the National Veterans Association.